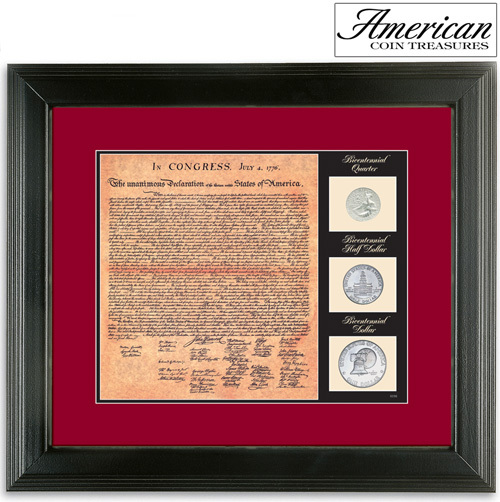 A beautiful facsimile of one of our county's most important documents, the Declaration of Independence, mounted in an exquisite wood frame. Adds an elegant and patriotic touch to a home or office. Includes three 1776-1976 Bicentennial coins; the Eisenhower Dollar, JFK Half Dollar and Washington Quarter, which pay tribute to the 200th anniversary of America's beginnings. Certificate of authenticity included.